Each day I have the opportunity to interact with students, I work to accomplish three goals—to emphasize the importance of learning, to help students unearth the connections between academic knowledge and their lived experiences, and to foster critical awareness of social injustice. I teach, then, always with the hope of igniting a love of learning and I take seriously a commitment to make each of my students a more successful learner—firmly believing that the confidence that one can learn well translates to greater adaptability and ambition in all aspects of life. As a Communication and Cultural Studies scholar, I view communication broadly as the process by which we make, maintain, and share meaning. I am particularly interested in the ways people engage in these processes to negotiate power in their everyday lives. This fascination has led me to research a wide range of objects and institutions, from television and popular music to fine art and, most recently, food. In recent years, I have extensively researched and written about the American brewing industry, examining the relationships between the economic valuation of beer and a range of cultural phenomena. My current research project investigates urban food systems, exploring the efficacy of ‘good food’ interventions. I am an unrepentant multipotentialite and enjoy pursuing a broad range of passions. I am currently writing my first lengthy work of fiction, a novella that will be self-published in 2016. I am an avid homebrewer, knitter, urban gardener, and a compulsive maker of things. When I am not teaching, researching, writing, or tinkering, you can find me enjoying time with my family in beautiful central Virginia. I firmly believe that this is part of my job as both a cultural intellectual and a teacher. In my communication and film studies classes at Randolph, I encourage students not to take anything for granted, but to ask questions about the historical, political, economic, and social contexts of the cultural objects we examine. My ideal classroom is one where students are eager to share their ideas and learn from each other. I often learn just as much from them as they do from me. Film is my passion, although I was an art history major as an undergraduate at Vassar College. Studying medieval manuscripts turned out to be the perfect way to develop a critical eye and close attention to detail. I strive to pass these skills on to my students and to ignite in them a passion for knowledge, intellectual inquiry and lifelong learning. My own research on Canadian film, cultural policy and national identity has fueled my interest in the delicate relationship between art and economy. Spending a year in Ottawa as a Fulbright Scholar helped me to better understand the subtle, but important differences in our two nations. I consider myself an unofficial ambassador for Canada and its amazing, but under-appreciated films. Currently I am working on projects that examine the national cinemas of Canada, Australia and New Zealand, with special emphasis on indigenous cinemas. I am most interested in how state-sponsored film industries balance their cultural and economic goals. In my other life, my husband Eric and I have a son Jack (born in 2007) who keeps us busy. In our free time we enjoy outdoor activities like hiking, mountain biking and canoeing, often with our golden retriever, Max. We also like to travel; some of our most recent trips have been to New Zealand, Hawaii, the Canadian Rockies, and Key West, Florida. It was Elvis Costello who, borrowing from humorist Martin Mull, infamously noted that “Writing about music is like dancing about architecture; it’s a really stupid thing to want to do.” It has always been in my nature to take such taunts as a dare, particularly when I sense that there’s some essential fallacy lurking in the background of a clever quip. And, so, after earning a B.A. from Wesleyan University in the 80s – switching, as I did, in my junior year from a major in music to a concentration in what I believed to be the more academically “pragmatic” field of history –I set out, unconsciously perhaps, to find the flaw in Costello’s logic. While teaching a new reading/writing program for advanced students in the California public school system, and pursuing a career in music as a guitarist and songwriter, I began applying the critical thinking skills and theories I’d been exposed to as an undergraduate to all forms of art, literature, and music. Reading broadly, across genres, in both fiction and non-fiction, I sensed there was genuine value to be found in what I’d been taught were the low arts: pop music, television, comic books, etc. . . To be sure, I was fortunate to come of age when the lines dividing high- from low-brow had become blurred beyond all recognition — a time when it was more than just fashionable for serious intellectuals to tackle formerly marginalized subjects. And I was lucky enough to find myself in the right place at the right time — Boston in 1991 — to put my own theories to the test as my interest in playing music gave way to a passion for writing. For, 1991 was, as Sonic Youth’s Thurston Moore christened it, “The Year Punk Broke” and the “underground” subculture I’d grown up as a part of was quickly mainstreamed. Suddenly, fortuitously I was an “expert” on a relevant and pressing cultural shift on which I had a number of provocative opinions. Writing, for me, meant first a foremost “criticism.” The essay has always been my favorite form, and, when asked what I did for a living, I’d often respond, “previews, reviews, interviews, and just plain old views.” As a generalist who specialized in music and other cultural emissions, I placed a high premium for myself and my writers on “cultural literacy” — knowing, experiencing, and consuming culture in all its various facets. The best criticism, I’ve always taught, starts somewhere specific (a song, a film, a book, a quote, an experience) but, through a series of connections that may lead to a wholly unexpected conclusion, ends somewhere else without ever losing sight of the text. It engages the reader in a conversation while, hopefully, adding something vital to larger ongoing conversations about art, science, politics, culture, history, and life. The best feature writing also reveals something essential about its author and, in those fleeting moments, forges an intimate bond with the reader. As an editor, a teacher, and a colleague, these are the values I stress. And, perhaps, in the very best sense, it really is a little like dancing about architecture. 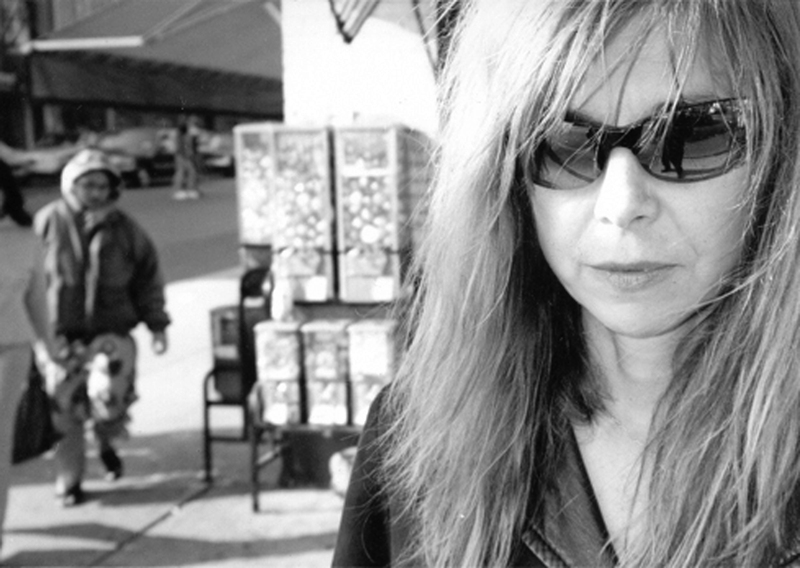 We recently caught up with independent filmmaker Sara Driver ’77, who returned to Randolph for the Berlind Symposium. Randolph students are eligible to earn membership in Lambda Pi Eta, the undergraduate honor society of the National Communication Association.